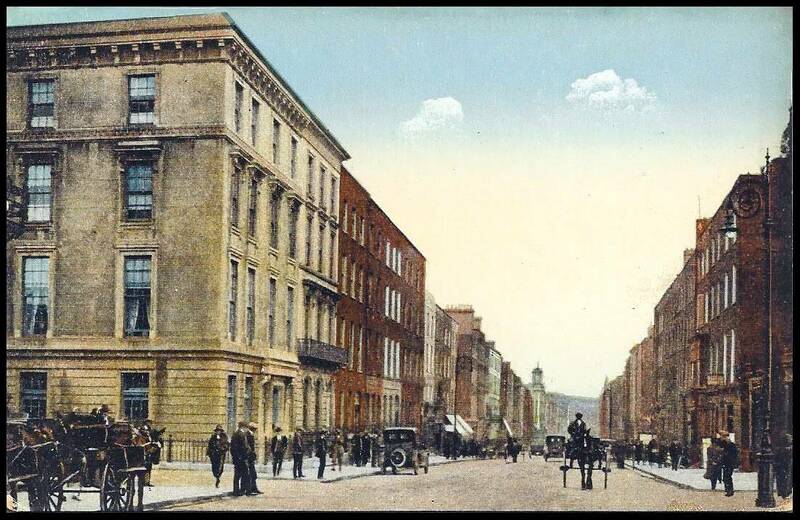 Limerick in 1916 was a bustling city with over 38,000 residents in the urban area and over 140,000 in the county. Although large portions of men of working age were fighting in the First World War, the city was still heaving with people. As in other cities across Europe, women during this time took a more vital role in the workplace. This can be attributed to the majority of businesses booming, such as the bacon factories and flour mills, who supplied food for the troops. Tins of Shaw’s, O’Mara’s and Matterson’s hams made it all the way to the front line. Shipped both by the government and by families to their sons and brothers. Cleeve’s toffees and Geary’s biscuits were also sent to those serving in the armed forces. Margarine was also being manufactured locally by W & C McDonnell, Thomas Street. In addition to food, the Limerick Clothing Factory was working at full capacity. With uniforms being prepared for both the military personnel involved in the First World War and the Volunteers. These mostly female workers received War Bonuses as production was increased to a degree that overtime became the norm. 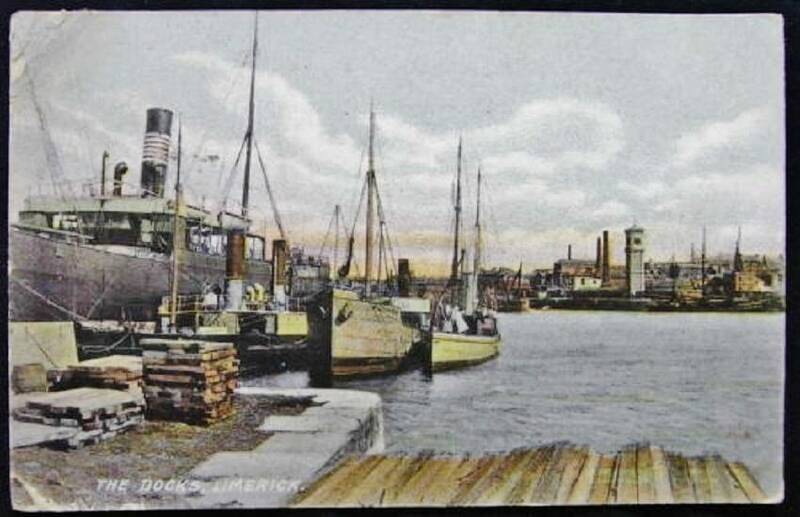 This boom was interrupted by U-boats interfering with the flow of traffic to and from the Docks. This caused employment in this area to slacken for the casual labourers. In both the shops and factories employees were expected to work sixty hour weeks with only Sunday off. It was still the custom for apprentices to live above the shops of the major retailers such as Cannock’s and Todd’s. Many young women were working as maids both in houses and on farms. Additionally, the large Georgian houses required a staff to maintain them. There were enough men of marriageable age at home as can be seen by the 412 marriages that took place in the city and 779 in the county. Simultaneously, 1,319 were born in the city and 1,133 died. Among the deceased, 695 were buried in Mount Saint Lawrence Cemetery. In comparison, the county had 3,284 births to 2,506 deaths. The city and county at the time was relatively peaceful. The Limerick Assize for the entire county reported that there were 684 cases of drunkenness, which was down from 705 in 1915. Common assaults also went down from 81 to 72. While other crimes were down from 920 to 780. In the city there were 23 cases brought against parents for not sending their children to school. This was mainly because Secondary School was the preserve of those who could afford them. The average child was expected to be in the workplace after finishing school at fourteen. The mayor in 1916 was Sir Stephen Quinn. A former mayor, John Daly, the uncle of Ned Daly, passed away in July that year. His coffin, draped in the Irish flag, was carried from Barrington Street, through O’Connell Street and up William Street to Mount Saint Lawrence Cemetery. The entirety of the City Corporation was in attendance, along with mace bearers and sword bearers. The streets were lined with thousands of spectators. Although motor cars were not common, they were becoming more popular, with 49 cars registered in the city that year. Still being the main form of transport, there were seven coach and carriage builders in the city. The roads had not been tarred, so they became a slick mud when wet and a powdery dust when dry. In 1916, manure was a common sight on the roads as horses and pigs were a part of the living city. The main sewerage system was not connected to the majority of houses. The lanes around Carey’s Road and Watergate were particularly bad and all forms of household waste was dumped into the gutters on the road outside. Running water did not yet reach all households and a tap was accessed in the neighbourhood with water being brought back in buckets. For a large section of the population a wash came from a basin of hot water and a sponge. In the summer time it came with a dip into the Shannon at Poor Man’s Kilkee, Corbally and Plassey. There was a public bath house in the city known as the Turkish Baths, operated from 8am until 8pm daily in Sarsfield Street. The streets were lit by gas lights, but gas was only available in the homes that could afford it. Turf, which would arrive at Arthur’s Quay in large ships before being carried off in wicker baskets, was the main form of fuel for the working classes. Homes without gas were lit by both candle light and oil lights, primarily supplied by the four candle makers in the city. When employees had finished their long shifts or children had finished their school work there was plenty of entertainment to be had. 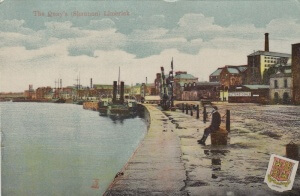 There was a roller rink on Clontarf Place and a library at Pery Square. Furthermore, there were four cinemas showing silent movies from England and Hollywood, with the Gaiety showing movies twice nightly. Moreover, the Theatre Royal was still running on Henry Street, drawing in large crowds to their shows. These included a play by W.B. Yeats performed by the famous Abbey Theatre of Dublin. Finally, races were ongoing in the Greenpark racecourse. 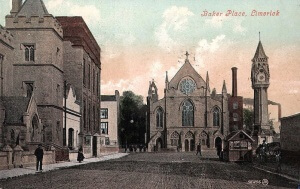 There were four local newspapers at this time: the Limerick Leader, Limerick Chronicle, Limerick Echo and Munster News. These brought news of local, national and global events, as well as noting the war deaths. In 1916 over 200 Limerick men died while in service with the Allied troops. One of the most notable events in Limerick was the introduction of the new Greenwich Mean Time. Before 1916 all the clocks in Ireland were twenty five minutes slower than in England. With the advent of telecommunication devices it was important that countries began aligning their clocks. To confuse matters even more, day light savings time was also added. So there was a difference of one hour twenty five minutes between those who complied with the changes immediately and those who didn’t resisted the change. 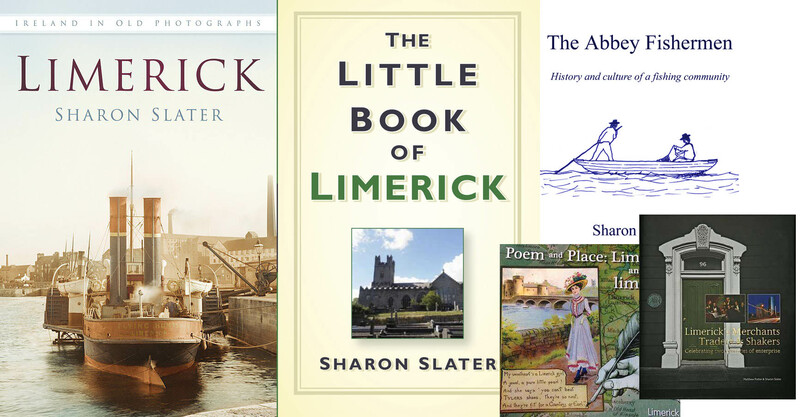 This article by Sharon Slater was first published in the Limerick Leader‘s series on 1916.